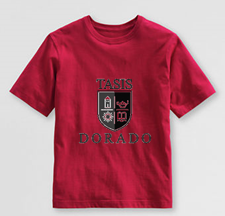 All TASIS Dorado students wear the formal school uniform to school unless it the student has PE or a field trip, or if there is a "casual day." Students are expected to be neat and presentable at all times, following the uniform rules defined in the Student Handbook. Students are not permitted to wear clothing or accessories that promote alcohol or have political slogans or inappropriate messages. The School Uniform should be worn with pride. Any defacing of the school uniform or logo is considered unacceptable behavior. PPK - 5th Grade students have a number of choices. Boys wear a light blue or yellow polo shirt with the school logo, paired with navy blue shorts or long pants. Girls may wear the light blue or yellow polo shirt or blouse with the school logo paired with a navy blue skirt or skort, shorts or long pants. They may also wear a navy blue dress with the school logo. All clothing must fit well. Cargo pants and jeans are not permitted. 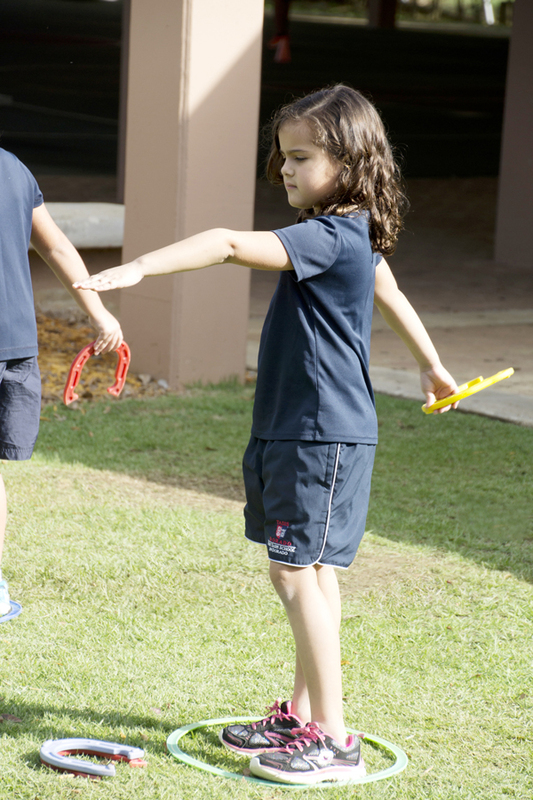 Elementary students wear a blue t-shirt or dark blue athletic shirt with the school logo or a special activity t-shirt from the current academic year, long blue athletic pants or shorts with the school logo, white socks and sneakers/athletic shoes. Students wear the full P.E. uniform to school on days they have P.E. scheduled. Elementary students wear a red fieldtrip t-shirt, jeans with no rips, athletic shoes or hiking shoes when the nature of the fieldtrip (e.g. hiking trips and sports events) demands it. For cultural, musical, film, or other artistic performance field trips students wear the formal school uniform. The fieldtrip t-shirt is available in the TD Book Store. Students may wear the approved school jacket that is available in blue or red through the Bear Essentials store. Other jackets are not permitted. Socks must be white, black or navy blue. Shoes must be leather-topped flats in black or navy blue. Athletics shoes, boots and other shoes may not be worn with the formal uniform. Hair must be clean and neatly combed at all times. Girls may wear one small earring in each ear and no more than three bracelets per arm. Boys may not wear earrings and may wear no more than three bracelets per arm. No other body piercing or visible tattoos are allowed. Brightly colored nail polishes, glitter, make up and hoop or dangly earrings are not allowed. Hats, caps and sunglasses may be used only during approved activities and are not to be worn indoors.